Remember I recently got this Moda Candy Bar at Pine Needles when visiting with my friends. 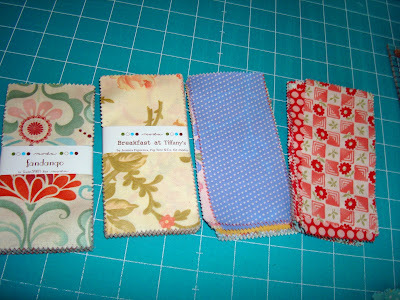 I've been thinking about ways I can use these 2 1/2" x 5" candy rectangles. One idea came to me while cutting 5" long dresden strips. They are absolutely the perfect size. With very mimial waste these little rectangles can be cut with my wedge ruler to create . . .
something like this. I've also got a few other ideas in mind. I'll share them with you if the ideas prove worthwhile. I'm really liking this shape of pre-cut. OMG, Nanette what a fabulous idea! 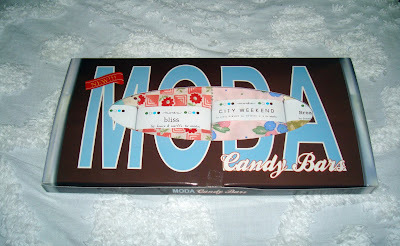 I was looking at my boxes of Moda Candy Bars and wondering what the heck I was going to do with those pre-cuts! 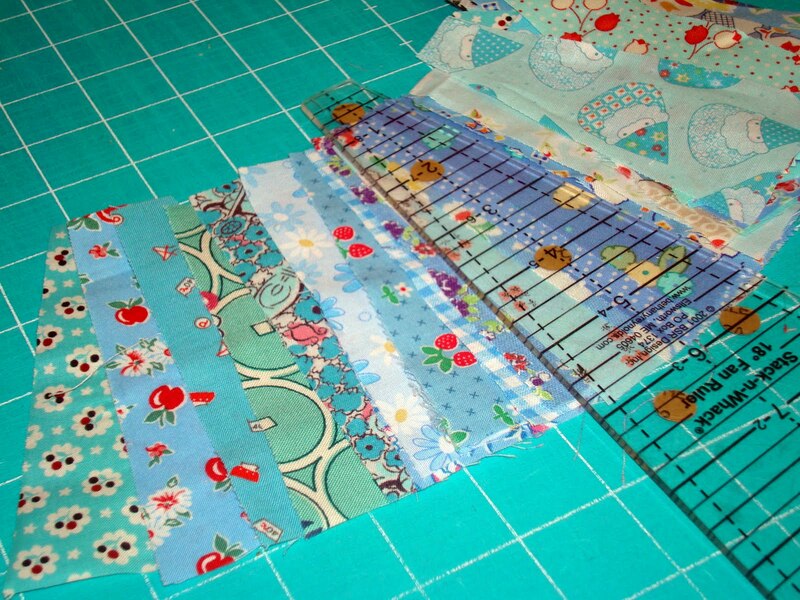 I haven't seen these precuts yet...so pretty, and just the right size! Great idea! I'm going to have to go get myself some of those now! yum - moda candy! hadn't seen this before. and you're right - perfect for dresden plates. so pretty! I'm going to have to go shopping for some Moda candy and a wedge ruler. It's all your fault.... hee hee! Oh friend, I got myself those candy bars just sittin' around. You've gone and given me a good idea!!! Now you picked the perfect solution! What lovely Dresdens they make! Nanette ~ YOU ARE A CLEVER ONE! I love your idea and can't wait to see more of them. Yay!! Dresdens, gotta love the them. How great is it that these are just about the right size. Adorable! Love it! Can't wait to see more of your "always cute" ideas! Have a great week-end. GREAT idea...I think I might be tempted to buy some of these now! What a GREAT idea. Oh, yes...Nanette...if you are wanting to maybe win a GO! cutter, go to my blog and enter my giveaway. You will see it on the top of my sidebar....and it is my July 16 post, so you can find it easily. There you go with the cute stuff again....LOVE.DRESDENS. Such a great idea, Nanette! Love the fabrics too! This is looking very yummy indeed! I like these kind of candy bars!! Ooooh, pretty Dresden! That's a good idea. Looking forward to seeing what else you come up with for those pre-cuts. What a cute idea Nanette! Perfect Dresden's! Great use of the candy bars!! What a cute dresden. P.S. I just got back from our ward campout and there in the mail was my Mixed Bag Kit! Yay!!! Thanks! I can't believe how fast that was! Great idea! Thanks for sharing your inspiration. 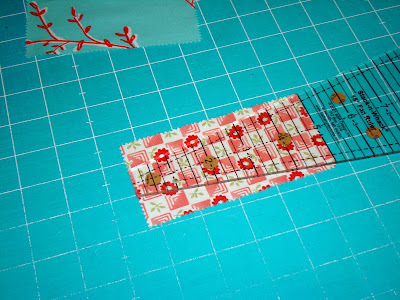 I really like that a classic block takes on a new life with the pre-cuts. love the shape of the moda candy bars, I have to order a few and I bet they will help my diet too...well not the stash diet! I haven't seen the candy bars here yet but I'm pretty sure I'll love them and calorie free is the best part. A wonderful idea! Now, maybe I do need some of candy bars. 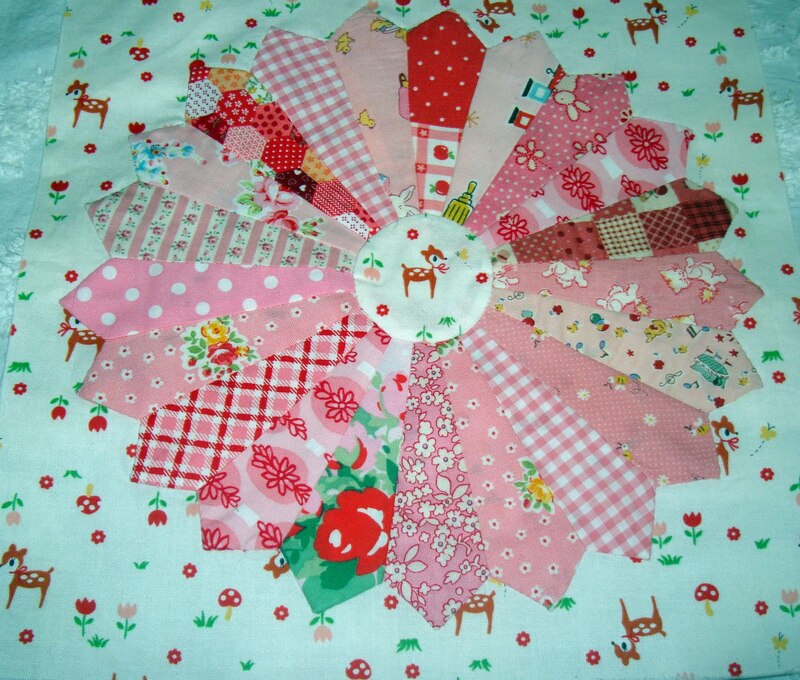 You make the most adorable projects! That dresden just couldn't be any cuter. I'm going to have to be on the lookout for the candy samplers, so far they're not in local shops. Natalie's "In the Leafy Treetops"